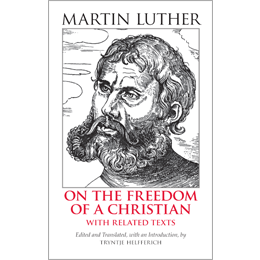 Although early in his career--and so there are lots of things that were not yet worked out properly--this little volume shows that Luther possessed the seeds of Biblical theology and truth. Luther challenges those who think that believing is a little and easy thing to consider how great and miraculous faith actually is. Today we too need a revived understanding of the incomparable treasure of faith. It is common to hear people say that believing is not a big deal, but that how we act is really the important thing. This is false, and Luther raises his voice against it, pointing us back to the Bible where faith is spoken of as that which is crucial--for it glorifies God and justifies the ungodly. Luther also underscores the high status of Christians, another Biblical truth that needs to be reevaluated by Christians today. Believers are in a better condition than they can even imagine. In Christ they are above the dominion of the law, sin and death. They are God's kings and priests. They share in the victory and life of their Savior. If we would only understand and acknowledge our amazing condition as Christians, depression would flee away and joy and peace would flood in. One other outstanding observation made by Luther that I'd like to mention, though he doesn't develop it, is that he understands the New Covenant promise that God will write the law upon our hearts as meaning that God's people will be taught by God the truth about the law and gospel. This is a brilliant observation missed by many who think that the writing of the law on the heart has to do with a new mystical desire to obey the law. A careful comparison of Hebrews 8:10 and 10:16 will show that Luther was on the right track. "On the Freedom of a Christian," while by no means a flawless work, is nevertheless a classic, drawing attention to some of the most crucially important truths for Christians of all times.